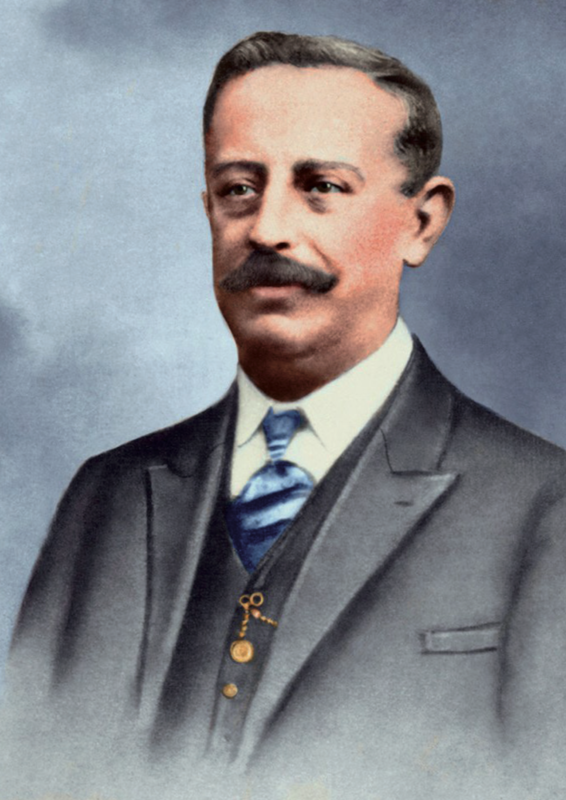 The founder of this dynasty, José Ramírez de Galarreta y Planell, was born in Madrid in 1858. At the age of 12 he became an apprentice in the workshop of the master, Francisco González, whose guitar shop was located on the Carrera de San Jerónimo in Madrid. It was between 1880 and 1882 when José Ramírez I left and became independent, setting himself up as a master guitar maker in Madrid’s Rastro area. Later, in 1890, he moved to no. 2, Calle Concepción Jerónimo, where his descendants continued until 1995. The shop can currently be found at no. 8, Calle de la Paz, very close to the former premises. Once José Ramírez became independent and set up his own workshop he became master of his younger brother Manuel Ramírez and, later, his son José Ramírez II. He also taught Antonio Viudes, Rafael Casana, Alfonso Benito, Antonio Gómez, Julian Gómez Ramírez and Enrique García. The latter set up on his own in Barcelona where he became the master of Francisco Simplicio. José Ramírez I became a fundamental part of the famous Escuela de Madrid de Constructores de Guitarra (the Madrid School of Guitar Makers) since he was, at that time, the most outstanding master guitar maker of his time, after the stellar Antonio de Torres. The flamenco guitarists of that time used to come to him to find solutions to the poor sound projection of the guitars that were made then, which could hardly be heard in the flamenco venues and cafés. And this is how José created the famous ‘Tablao’ Guitar. His brother Manuel took this model and later modified it, transforming it into one of his templates, laying down the bases of what we now know as the flamenco guitar and which his disciples continued using. Interestingly one of the Ramírez guitars which belonged to Antonio Barrios, which he continued being able to play even after it fell into a river, had the same template as the ‘Tablao’ Guitar.